McGregor withdraws his application to register Notorious whiskey as a trademark. 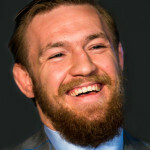 An Irish brewer, Seamus O’Hara, objected to McGregor Sports and Entertainment Ltd company’s application to trademark the Notorious whiskey brand. O’Hara’s successful attempt to block McGregor’s application, first put through in 2016, means it has now been withdrawn. The European Union Intellectual Property Office in Spain, the office McGregor applied to, also ordered the Irishman to pay £552 in costs to O’Hara. O’Hara, the founder of Carlow Brewing Company, registered his own Notorious alcohol brand in May 2016 and argued McGregor’s trademark and his could not ‘co-exist peacefully in the market’.